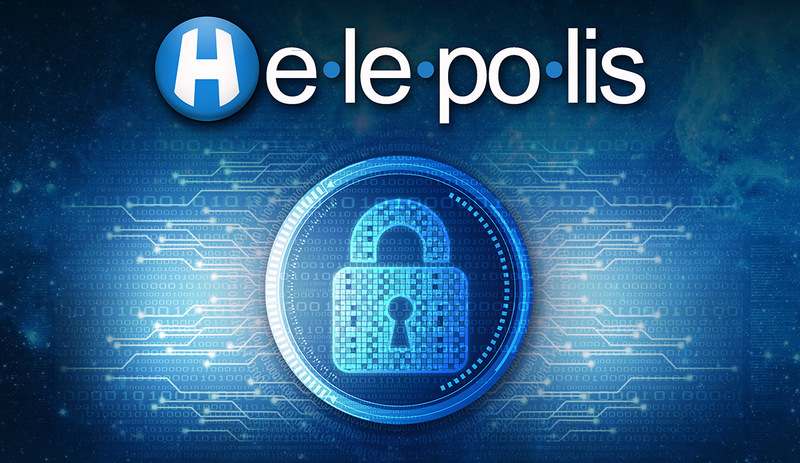 Helepolis Ransomware Solution – Helepolis is the most powerful and innovative ransomware/anti-virus solution available on the market. Helepolis - Unleash the war machine. In ancient times when it looked like the battle was going to be lost, they would pull out the Helepolis war machine to win the battle. Helepolis is now the most powerful anti-virus and anti-cryptoware engine and is ready for this battle. The most powerful and smallest crypto virus engine available. Stop crypto viruses that other products fail to detect. Helepolis does not rely on signature files or traditional methods to prevent crypto attacks..
Our Look Ahead Technology is a powerful anti-ransomware engine that puts the power back in the hands of the IT admins. Using our technology you can stop all threats, both old and new. Helepolis is the only anti-virus / anti-ransomware software that comes with all the tools needed to remediate, patch and protect your organization. No special hardware or server required. Helepolis is the only anti-ransomware toolkit that provides you with the power of the big guns in fighting ransomware plus all the tools required in order to fight the virus/ransomware battle. Helepolis Look Ahead Technology is the key in protecting you from the latest ransomware threat. This technology can be used with our AV engine or paired with your existing security product. No internet required for core local ransomware protection. Cloud management to fully protect your company from anywhere. Full suite of tech tools for patching, remediating and securing your infrastructure. Helepolis is a total war machine when battling viruses, hackers and ransomware. Full traditional anti-virus, process fingerprinting, crypto protection and all the tools you need to stay safe and protected. 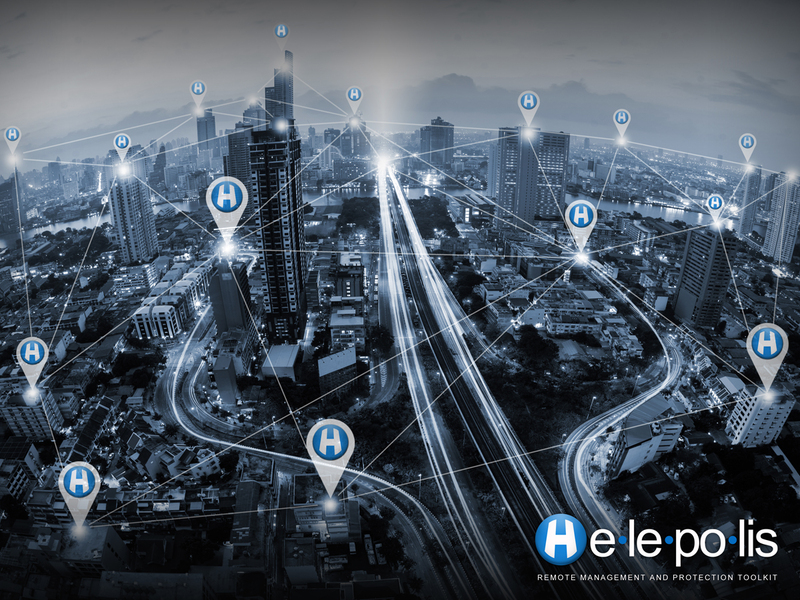 More than anti-virus, anti-malware and anti-ransomware you can use Helepolis to manage all aspects of your organization whether you have 25 endpoints or 25,000. Helepolis specializes in crypto viruses and ransomware however, it is also a full AV engine using proprietary DNS and process fingerprinting to detect the latest threats to your organization. When an attack is stopped you are notified with an email alert describing the threat. Full threat and activity logging can be pulled from all of your clients on demand. Helepolis boasts some of the highest detection rates of the latest crypto viruses compared to most of the popular traditional anti-virus tools available. Run stand-alone or as a compliment addon. Ransomware encryption viruses, crypto-mining and crypto-jacking prevention and detection. 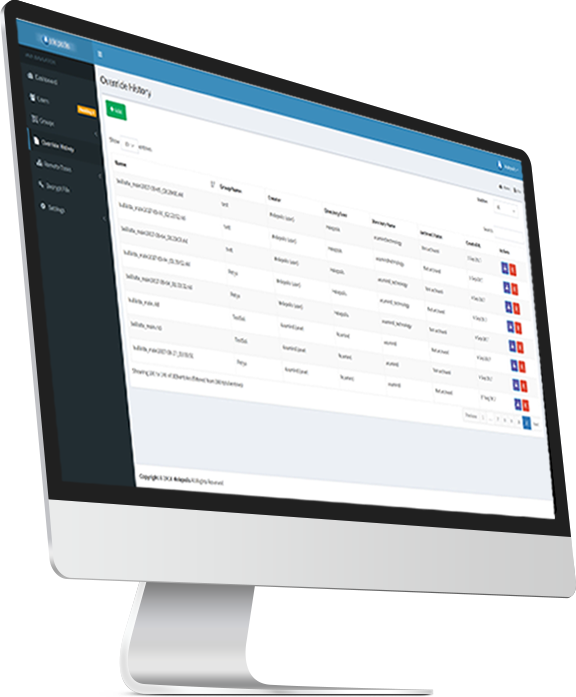 Our Cloud-Based Response Application allows you to monitor and secure your business remotely. Helepolis is more than a ransomware prevention tool, it is a birds eye view of all your endpoints. Helepolis will prevent ransomware and viruses as well as arming you with the tools to fight the rest of the battle. Helepolis now offers a full remediation suite with a live dashboard. Protecting and securing your infrastructure is the key to staying safe. Helepolis is a full remediation suite, which provides a customizable dashboard to local and cloud based tools to protect your endpoints. From this site we offer four plans; small, standard, grand and enterprise which can be explored below however, for more up-to-date or custom pricing please contact us for additional information. Find answers below to some of the most commonly asked customer questions. Please free to browse the FAQ or contact us for more information. 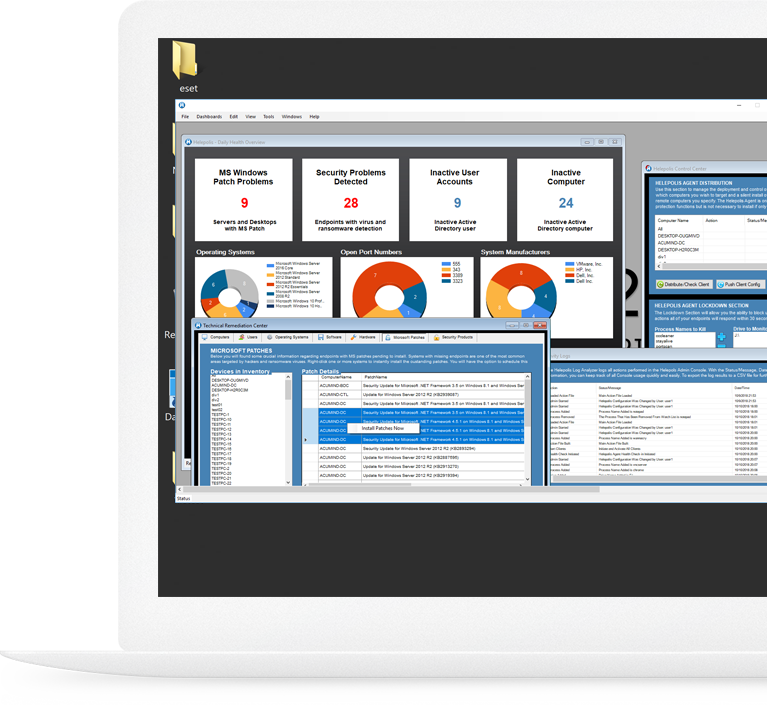 Helepolis is a powerful suite of tools including the fastest ransomware and crypto virus engine, cloud based protection and system management platform as well as a full range of tools to help secure your company. 2. I already use an anti-virus product. Do I still need Helepolis? Yes. Even though Helepolis can be deployed as a full AV suite, it also has the power to be de-coupled and used with any existing security implementation you might have already. 3. My Anti-virus product claims to stop crypto viruses as well? Most traditional mainstream AV products make the same claim however, they rely on the same mechanisms for detection. Visit our YouTube channel to see many traditional tools failing to detect crypto ransomware attacks without Helepolis active. 4. Who is your biggest competition? Most anti-virus companies are technically our competition, but the fact we can be de-coupled and used as a compliment to these tools, makes our competition an opportunity for better layered protection. Copyright @ 2018 Helepolis Inc. all right reserved.